Sony Mobile has definitely come a long way to make Android phone an end user phone. No doubt Andorid itself, and the likes of Cyanogen, have progressed by leaps and bounds to make the experience less intimidating to technically less inclined end users. Sony Mobile just completes the last piece of the experience puzzle through its layman friendly setup process, simplified but very functional home application and polished applications in Gallery, Video, Mail, Calendar, etc. On first look, it is not easy to idenitfy which is Z1 and which is Z2. My wife complained that I took her Z1 when I was holding a Z2. 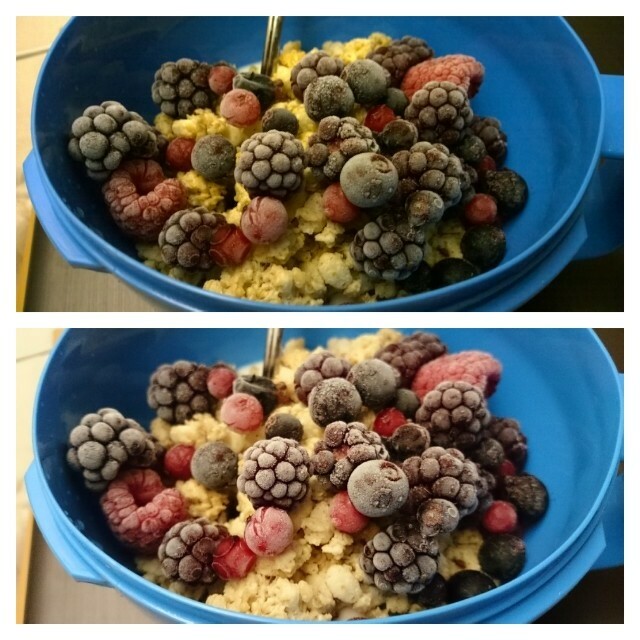 There are some subtle differences but generally, its slightly (very very marginal!) 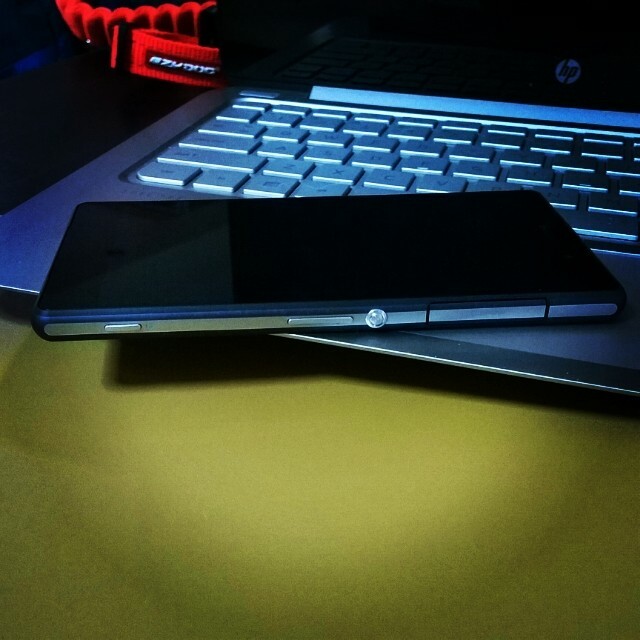 lighter, thinner and cleaner (in its design). The Z2 is clear a winner over Z1, once you look beyond its cosmetic appearance. The screen is a good example. I always feel Xperia Z1 screen is washed out, especially when you place it beside a phone with great display (like the Lumias) and the following photo just proves my point. 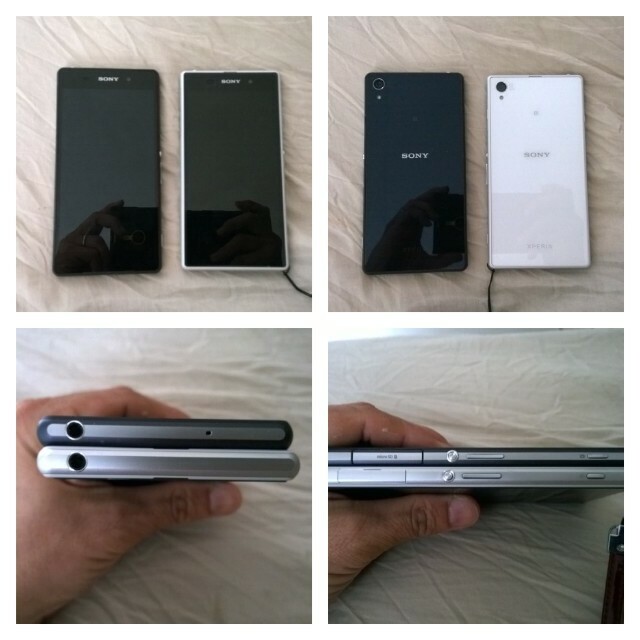 Good news is Sony had fixed it in Xperia Z2 but that means Xperia Z1 owners would feel shortchanged. 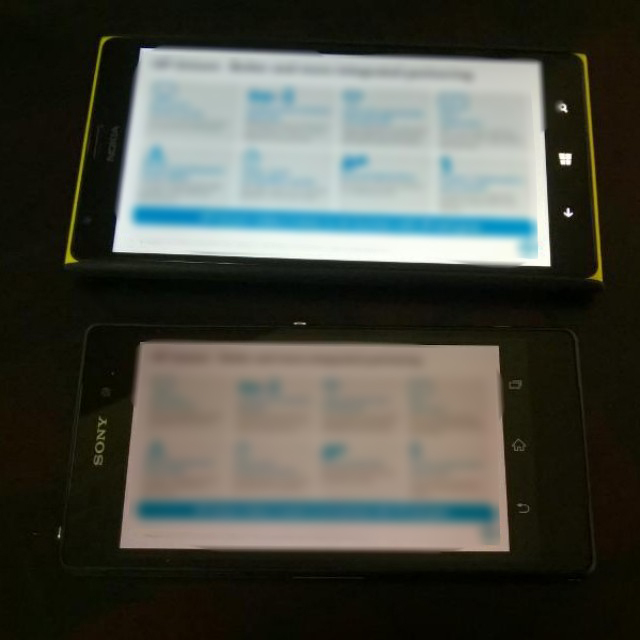 Bigger Lumia 1520 vs Better Xperia Z2? 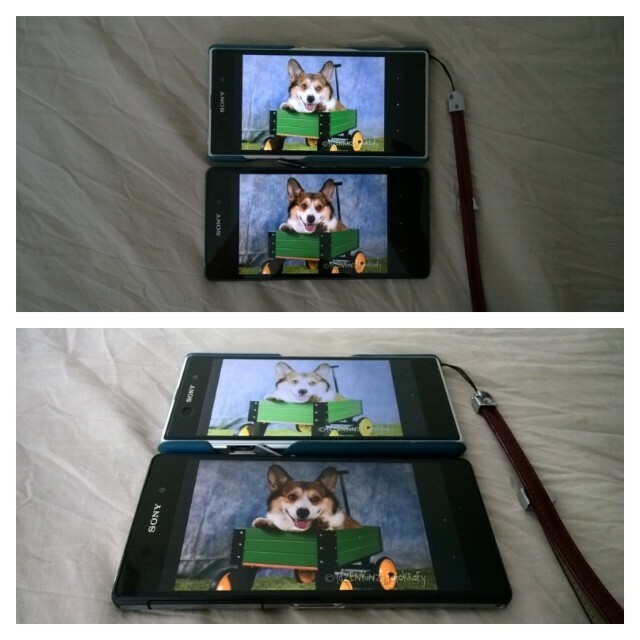 I was talking about how the smaller screen in Xperia Z2 remains functional, coming from big screen Lumia 1520. Turns out it’s because of the enhanced autocorrect capability implemented in Xperia Z2. I estimated I have at least 50% of typo mistakes, all thanks to a smaller screen (despite sporting a 5.2″ screen) and my big fat thumbs. Out of which, I estimated 90% of them are auto corrected correctly, even with local terms like kns, wahlao and Tampines! The autocorrect function in Xperia Z2 has this learning feature to learn my past spellings from various sources, including Facebook, Tweeter, Text message and Gmail. Which means you do not need to worry that your Xperia is a strict British English teacher since it can also understand your Singlish lingo. The only gripe I have now is the space bar is too close to the last row of qwerty keys, so I always end up with “v” instead of space. No way the autocorrect function can understand ehatvivwanrvtyped, can it? Xperia Z2, with its exmor lens sensor continues to demonstrate its prowess when taking shot in low light condition. Lumia seems to be under exposed although I would say Xperia overcompensate the dim lighting condition. The former still captures all the details and with its ability to have full control over all the camera settings, from shutter speed to white balance, Lumia 1520 remains comparable if not better than Xperia Z2. Is this the moment to join the dark side? So much has been said about the lack of apps in Windows Phone world. I used to think that app is a nice to have if the phone/phone OS maker takes care of the essential functions like PIM, social media like Facebook and Twitter, and a good internet browser that can make up for the lack of internet-based apps. However, doing so implies one is essentially restricted to what the phone maker has to offer. Your phone is as smart as the phone maker is, duh! The lack of apps problem however is probably less a concern to business users, so one man’s meat is another man’s poison! My biggest complaint about Android phones in the past has been its amateurish functionality in its office productivity tools such as powerpoint or excel. Even Exchange email and calendar clients were half baked; incomplete or missing Enterprise address lookup feature, calendar appointment sync issue, inability to initiate an invite, etc. Sony Mobile seems to have all these fixed. NB: I stand corrected if these are also fixed in pure Android phones. No more issues sending an email to an US-based colleague without having to remember his or her name. In Windows Phone, you need to follow the last name first name format in order for the Windows Phone lookup to be able to find the matching contact, but not necessary in case of Xperia Z2. When there are multiple contacts having similar name in the Enterprise Directory, you can’t tell the difference in Windows Phone. In Xperia Z2, I was surprisingly impressed that it could. The other big, if not biggest deal breaker in the past has been Microsoft Office compatibility. I have tried all the Office apps, from Google Office to QuickOffice, but none of them was able to display slides or spreadsheet without format and/or content loss. Miraculously, Microsoft decides to port the their jewel app to Android and iOS recently. This, I think, has to be the key to unlock the door to the dark side! 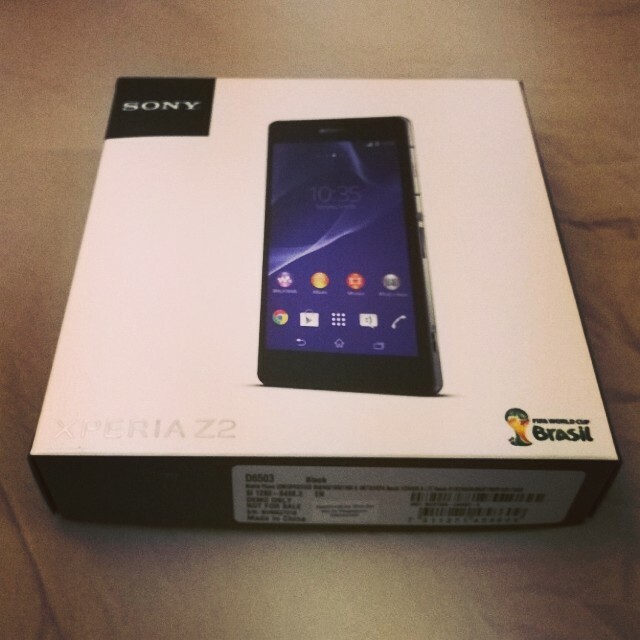 Xperia Z2 has its quirks, so don’t get away with the impression it is a perfect phone. I have yet to come across one, and this certainly is not. Save the last incident, which I hope its truly an isolated one, those imperfections may not be an issue for those who are not really affected by them, e.g. you don’t use your phone under the sun. In today’s market, this is probably one of the very rare few I would consider if I have to switch over to Android now. The fact that I am ready to jump after a week trial, sums up my favorable opinions about this gem. The only reason why I am holding my move? No it’s not XiaoMi. It has got to be something that #PlusOne, anybody?